Our passion is to consistently meet your expectations and make a difference; this gives us the motivation and energy to achieve great results. Our expertise is in executive headhunting and advertising led selection; our capability is in identifying, engaging and securing the talent you need. Combine this with our detailed understanding of the healthcare, chemicals, and consumer goods sectors, and you can be sure that you have found your natural recruitment partner. 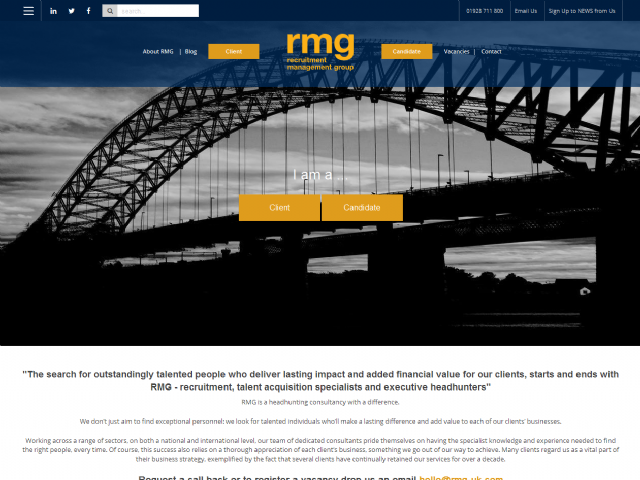 RMG is a values-based executive headhunting, search and selection firm, we live by and deliver on our values and welcome the opportunity to work alongside likeminded organisations.